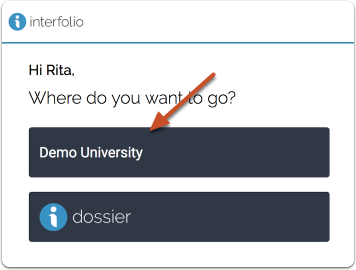 Institutional Administrators can create a set of voting options that can be used to record votes by all committees, and collect the voting results of all cases created at an institution. The results of committee votes will be tracked and reports can be generated from voting data. 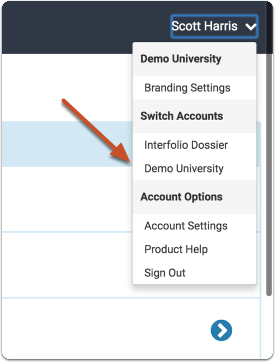 To enable the voting feature, an Administrator must create possible voting responses which will be made available for cases at their institution. 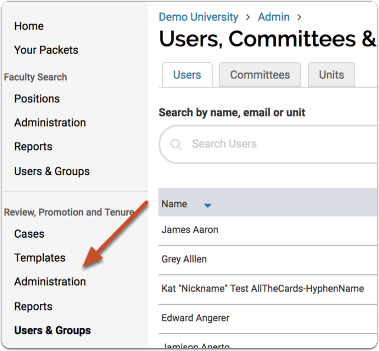 This article explains how to set up the committee voting feature in Interfolio Review, Promotion, & Tenure. 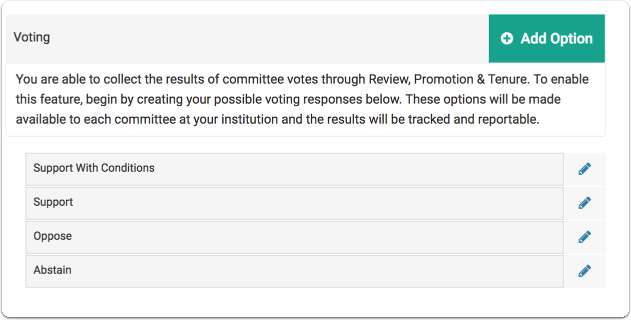 Note: The committee voting feature is a way for Administrators and Committee Managers to record the results of a committee vote. Votes are recorded on behalf of committee members on the case page of a candidate. 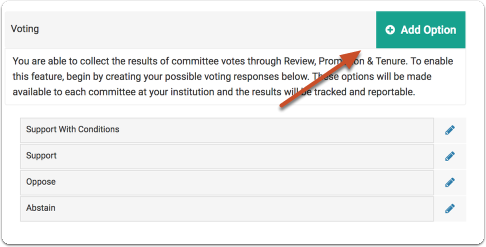 Committee members can view the results of their committee's vote, but they do not cast votes in the program, and will see no option for voting on their view of a candidate's case page.